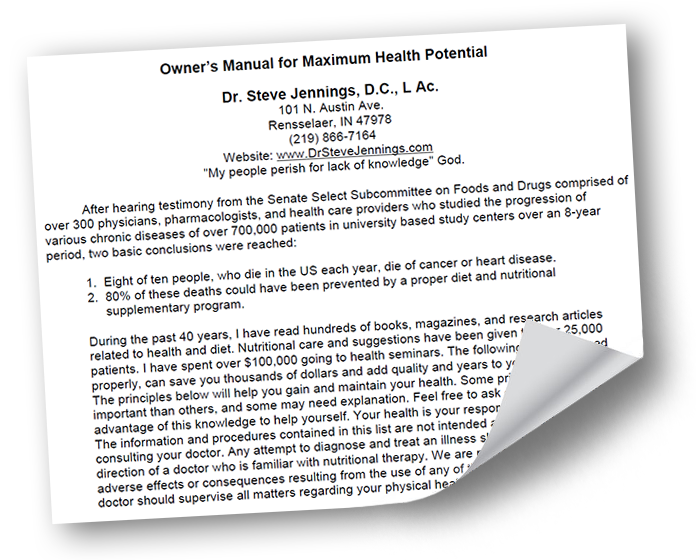 Dr Steve Jennings Rensselaer, Indiana Chiropractor, Acupuncture and more. – Life happens, I adjust. Your first step to a healthy lifestyle. Welcome to Jennings Chiropractic Center. 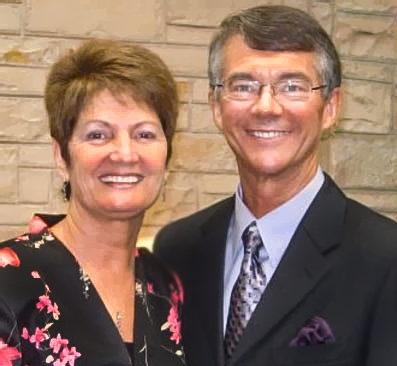 Dr Steve Jennings has practiced in Rensselaer, Indiana, for over 41 years. His passion is helping patients with very challenging health issues regain their health and life to their fullest expression. He works as a health detective to uncover and correct the cause of the patient’s problem and improve their health structurally, nutritionally, and emotionally. Dr Jennings uses precise and painless chiropractic methods without “popping” or “cracking” the spine. To learn more about Dr. Steve Jennings. click here. Chiropractic is not a treatment for backaches. Get the “Big Idea” by watching the video to the left and see what chiropractic can do for you. Share this with your friends and loved ones so they too can know the truth about chiropractic and health. Here at Jennings Chiropractic Clinic we offer a variety of Chiropractic adjusting techniques including Atlas Orthogonal Adjusting, Arthrostim Instrument Adjusting, Upper Cervical Specific Chiropractic, Neural Cranial Integration, and Neuro Emotional Technique. To help speed up healing we also use Bio Sequencing Scan, Homeopathy, VibraCussor Percussion Therapy, Acupuncture, Whole Body Vibration, Orthotics, SmartSound Therapy, Intersegmental Traction, Hivamat, and Rock Tape. In conjunction with the various treatment styles and therapies, we have our own, private digital x-ray facility on site as well as a stocked inventory of vitamin supplements. PS – I’d like to share a gift with you. I’ve created an “Owner’s Manual.” It’s an extensive list of the secrets to living a healthy life. And it’s yours free! Simply subscribe to my newsletter by clicking on the owner’s manual image and I will send you the link immediately. Atlas Orthogonal Adjusting, Arthrostim Instrument Adjusting, Upper Cervical Specific Chiropractic, Neural Cranial Integration, Neuro Emotional Technique, Bio Sequencing Scan, Homeopathy, VibraCussor Percussion Therapy, Acupuncture, Whole Body Vibration, Orthotics, SmartSound Therapy, Intersegmental Traction, Hivamat, Pulsed Electro Magnetic Field Therapy, and Rock Tape.